Dianne Magee brings a wealth of experience in the areas of elder law and all matters relating to estate planning, estate administration, adoption and guardianship. 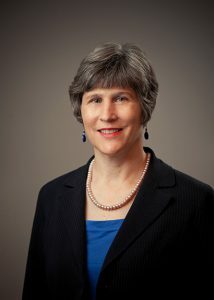 Her career spans many facets of law that she utilizes in her practice at Grim, Biehn & Thatcher, having served as assistant court administrator in the Bucks County Court of Pleas, Orphans’ Court Division and also as a law clerk for the administrative judge of the Bucks County Orphans’ Court Division. A distinguishing feature of her practice is her focus on elder law, a necessity borne of unique issues facing the growing elder population. Her professional guidance is beneficial to those caring for aging parents as well as those facing the onset of aging themselves. Dianne’s sincere interest in assisting others is manifest also in her community involvement, as she is actively involved with Big Brothers Big Sisters of Bucks County, Inc. and works through the bar association to support local outreach programs.